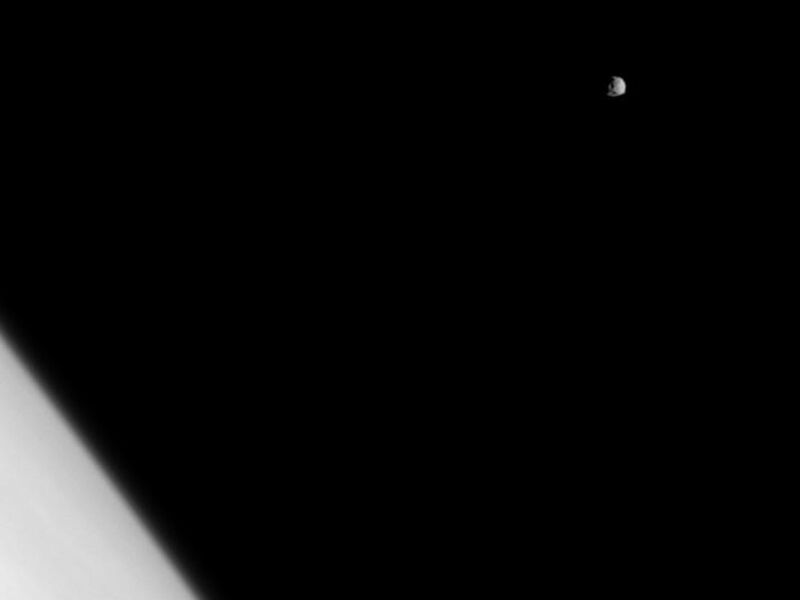 The battered moon Epimetheus is dwarfed by Saturn in this image which shows a fraction of the planet's northern hemisphere. This view looks toward the trailing hemisphere of Epimetheus (113 kilometers, or 70 miles across). 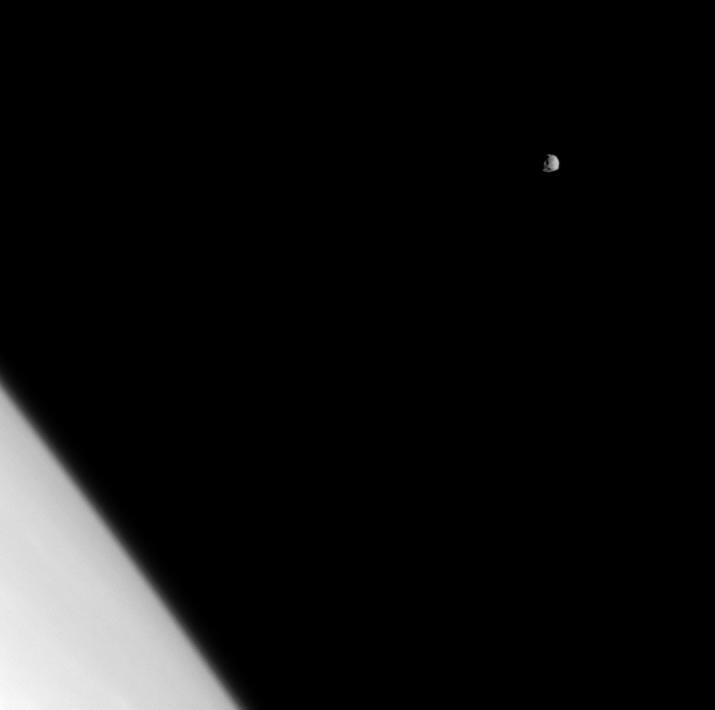 The image was taken in visible light with the Cassini spacecraft narrow-angle camera on April 10, 2009. The view was acquired at a distance of approximately 1 million kilometers (621,000 miles) from Epimetheus and at a Sun-Epimetheus-spacecraft, or phase, angle of 42 degrees. 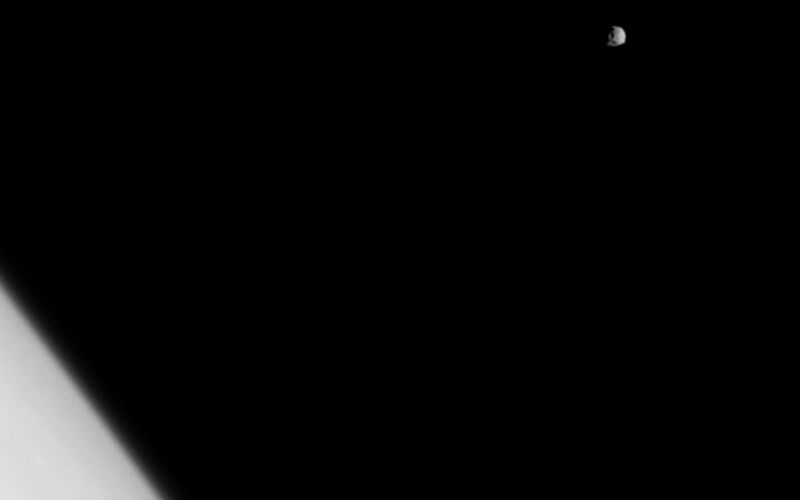 Image scale is 6 kilometers (4 miles) per pixel.